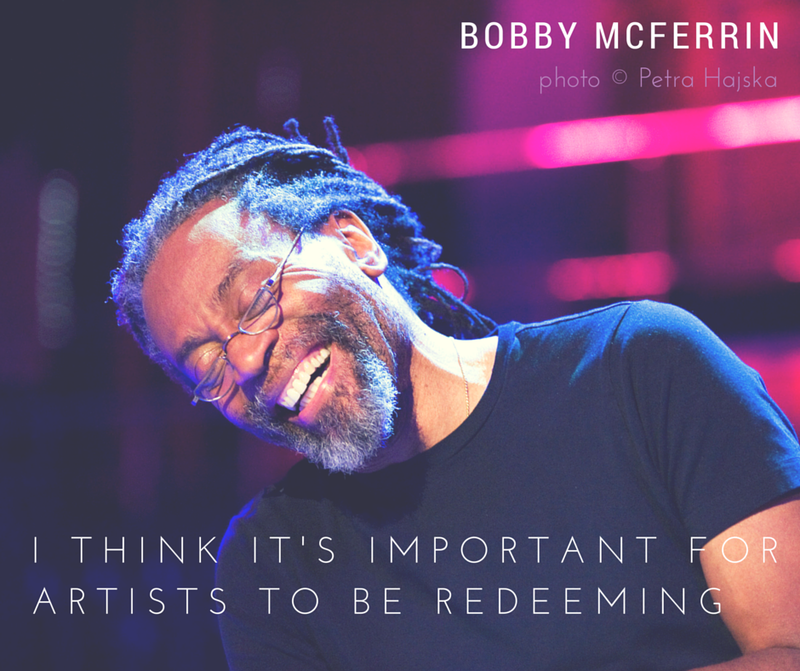 I love this statement by Bobby McFerrin. I adamantly agree that artists have great opportunity to be redeeming and encouraging. I sincerely try to assume responsibility for my repertoire and musical approach. I’m interested to know how other vocalists make choices in choosing repertoire and interpreting lyrics. Would you present lyrics that you don’t agree with? If so, would the audience know? Do you feel you have responsibilities as an artist? If so, what are they? Would you sing a song from someone else’s perspective? Is it important that the audience know’s the voice/perspective? The quote featured above is from an interview with Bobby on spirituality & it’s impact on his life & music. The interview coincided with the release of his album spirityouall. I first listened to the extended interview on youtube, and later found the original interview & transcript that was posted on PBS.org. I’ve posted a few other quotes from Bobby’s “extended interview” below. What do you think?